We offer a wide range of additional activities and outings including Fun French lessons, Kits Academy Football coaching and regular visits to the local area including The University Botanical Gardens. 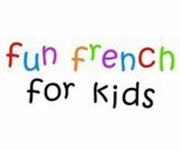 Our preschool children take part in French Lessons every Monday afternoon. Learning a language is a natural process when children are very young and experts agree that introducing children to foreign languages should begin as early as possible. The children and staff love these interactive and fun sessions, and it develops children’s communication and language skills, social skills and confidence. Our preschool children take part in sports sessions every Thursday morning. 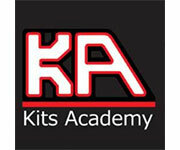 Kits Academy base their curriculum around the Early Years Foundation Stage Guidelines. Their sports programme offers children a positive introduction to physical exercise to suit all needs. It develops children’s physical skills as well as their social skills, listening skills, cognition and confidence. Children in the Nursery go for short walks in the local area, often over to The University Botanical Gardens for a picnic or to the local Post Office or Newsagents. This gives children the opportunity to learn from, and be part of, their local community. We often ask parents and grandparents to come and join in all the fun.